For over three decades Home, Door and Window Products has been serving the storm door needs of local homeowners in the Walled Lake area. First and foremost, our team is committed to providing the highest quality security storm doors available to our customers. We know that you have many options when it comes to choosing a storm door provider and we want to make Home and Door your first choice! That’s why we carry quality Fox storm doors and Trapp storm doors – the benchmark of the industry. Check out our extensive gallery and see how Home and Door can make your storm door dream a reality. Walled Lake is a small city near the center of Oakland County, Michigan whose residents know that the first company to call for exceptional security storm door products and custom storm doors are Home and Door! We want to be your first name in storm doors. The nearly 7,000 residents of Walled Lake take a proactive approach to readiness with their dedication to efficiency, innovation, and improvement of business processes. Championing that commitment to current and future development in the Walled Lake area for the past 30 years is the experienced team at Home and Door. Whether you need a new construction security storm door, or you need to replace an old, worn out storm door on your home or garage, Home and Door has the Fox storm doors and quality products you are looking for. Our knowledgeable and courteous sales team will treat you with respect and provide you with everything you need for your storm door project or storm doors estimate. At Home, Door and Window Products, we are committed to providing the highest quality materials at affordable prices. 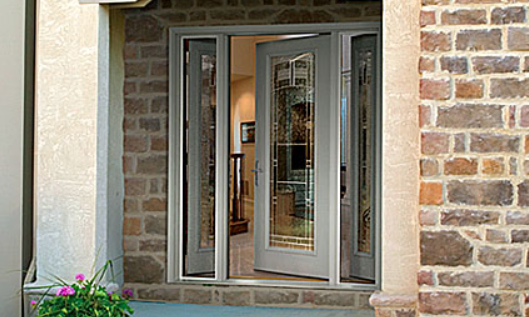 In the Walled Lake area, call (248) 399-9900 today to get started on your new storm doors project.